Shine is a responsive multipurpose Prestashop theme which is fully customizable and suitable for any kind of Prestashop store on any device. This responsive theme is a general purpose responsive theme which can be highly customized and tailored for any heavy PresthaShop store. Our theme is using SEO Friendly Design and Layout Structure. It fully support all PresthaShop SEO features. 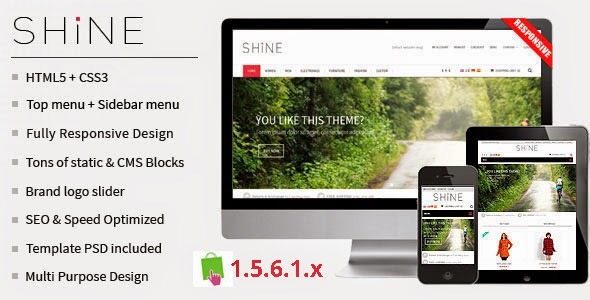 Item Reviewed: Shine - Responsive Multipurpose Prestashop Theme 9 out of 10 based on 10 ratings. 9 user reviews.